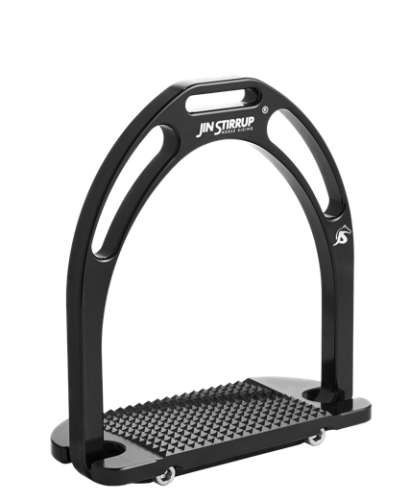 Jin Stirrups offer you sensational balance, lower leg position and grip. (Reducing boot slip on wet days, whether its in the arena riding flat, out hacking, show jumping or landing that cross country water jump !). They are available in an amazing variety of colours that you wont be disappointed with and are particularly hard wearing. 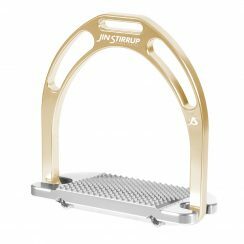 Jin Stirrups are original and Italian designed and engineered to stand out as a premium riding stirrup. 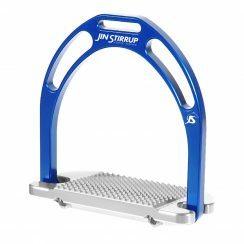 Jin Stirrup stirrups stand out for the revolutionary design and the use of a material to the vanguard like the aluminium. The aluminium allows us to produce a stirrup with a maximum weight of 300 grams, one of the lowest in the category, without compromising your security in any way. Jin Stirrups now offer the 4% gradient across all stirrups due to their huge riding advantage and popularity amongst our riders. 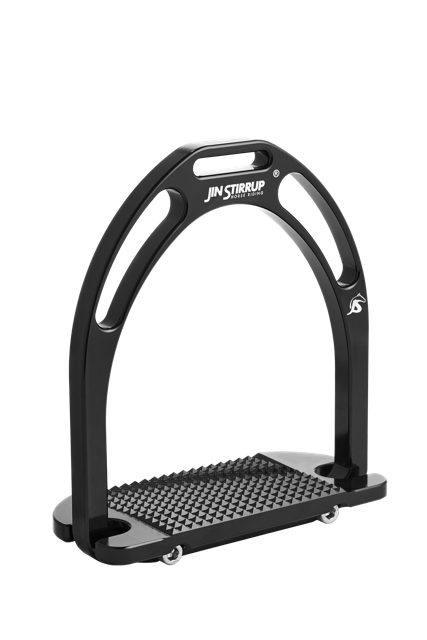 The Jin Stirrup stirrup offers a “grip” without comparison, thanks to the special “diamond” manufacturing of the bench support area and to generous surface. Both the large form and the particular grip of Jin Stirrup give a higher sense of stability which creates an “all one” with your foot. 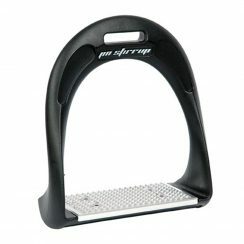 Jin Stirrup stirrups are obtained by certified sky-high quality aluminium, worked with sophisticated CNC machinery. Colourings obtained with the anodizing process give the product an effective protection from the corrosion and, for last, offer the possibility of choosing between a colour full range.